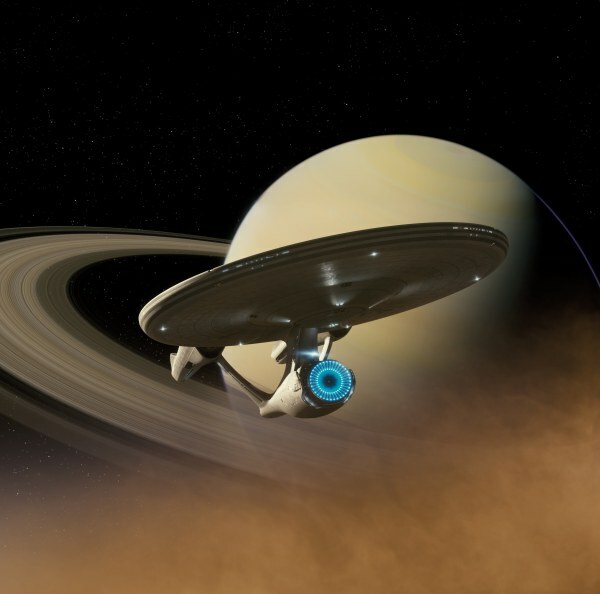 Remember the rising of the starship Enterprise from the atmosphere of Saturn's largest moon, Titan, in the 2009 motion picture Star Trek, with magnificent Saturn and its rings dramatically coming into view in the background? It was a scene suggested by DSP's President and Cassini Imaging Team leader, Carolyn Porco, and was so highly regarded that its final shot was featured on the cover of Cinefex, the main motion picture industry magazine for visual effects. Well, courtesy of JJ Abrams, Paramount Pictures and CBS Studios, Diamond Sky Productions is pleased to make high resolution, digital shots from that scene exclusively available to you ... right here! We, of course, are biased, but we think you will agree: The Enterprise has never looked so good.